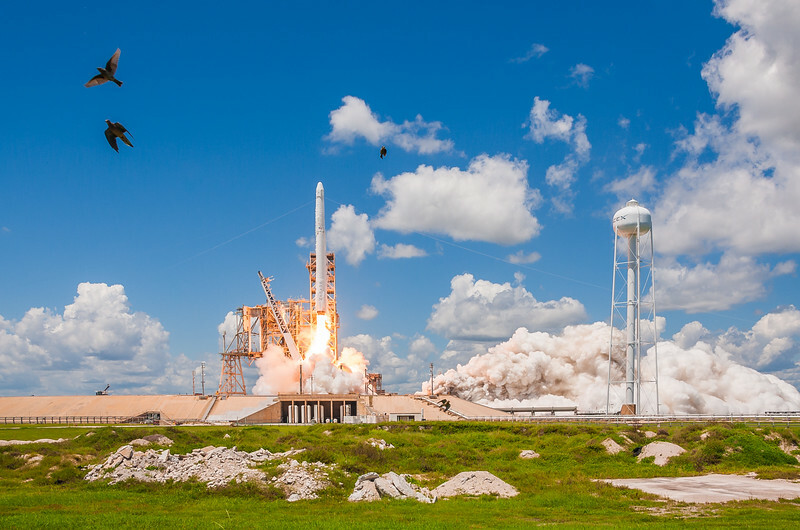 My favorite photos from SpaceX's 12th commercial resupply services (CRS) mission to the Space Station. 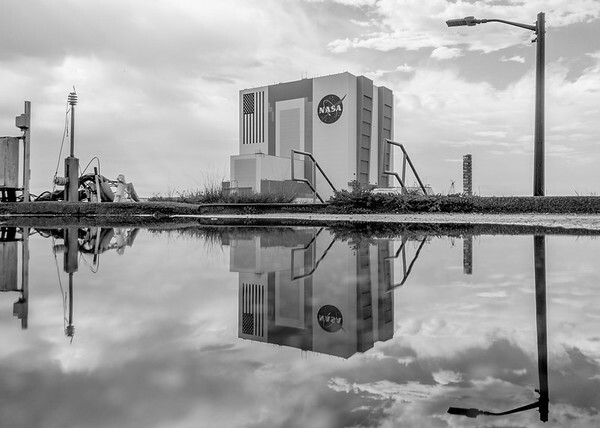 The Vehicle Assembly Building reflected in a puddle following an afternoon storm at NASA's Kennedy Space Center. 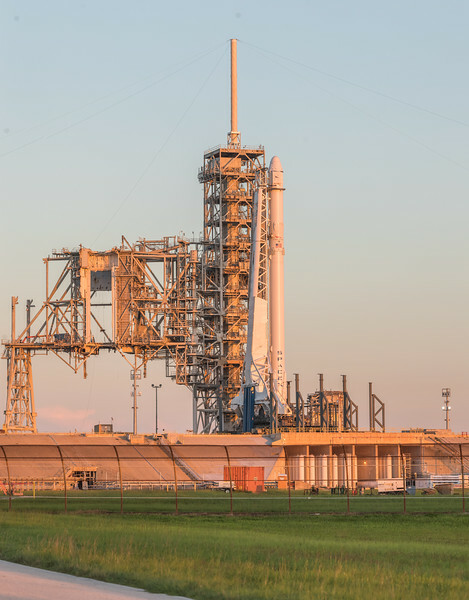 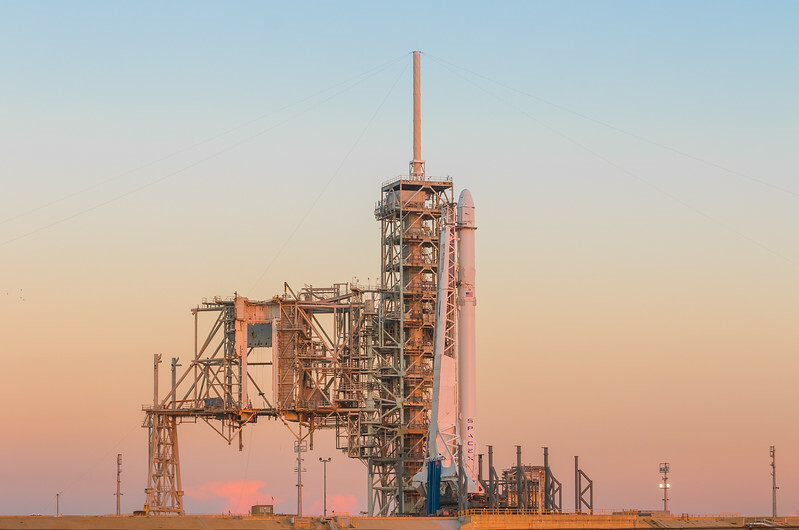 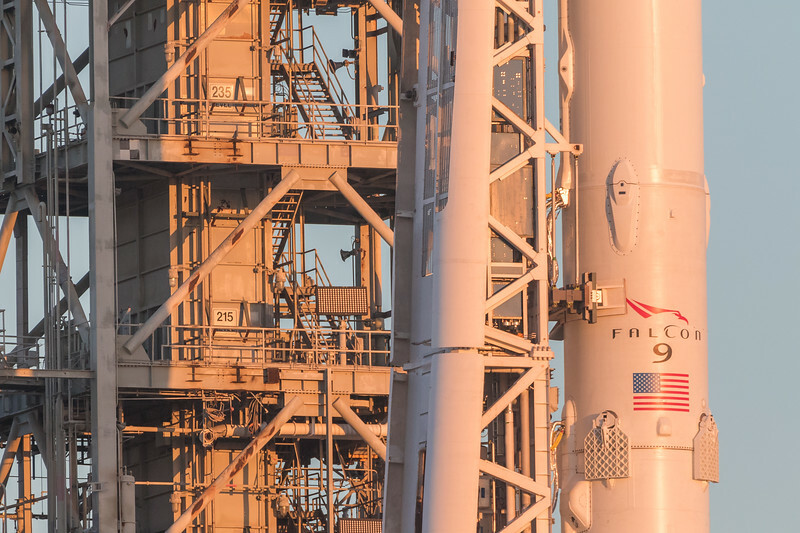 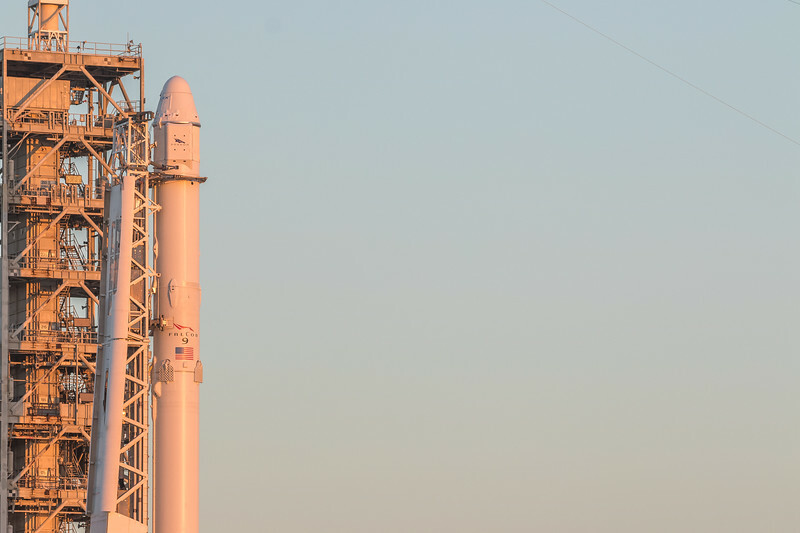 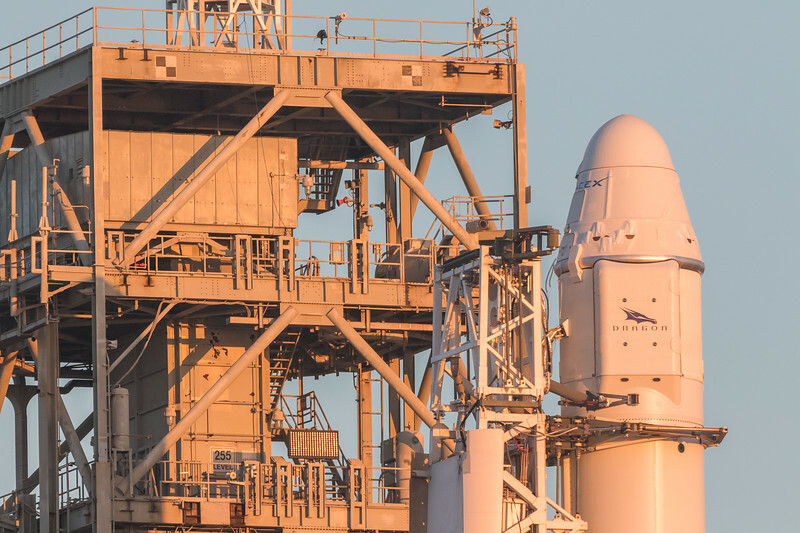 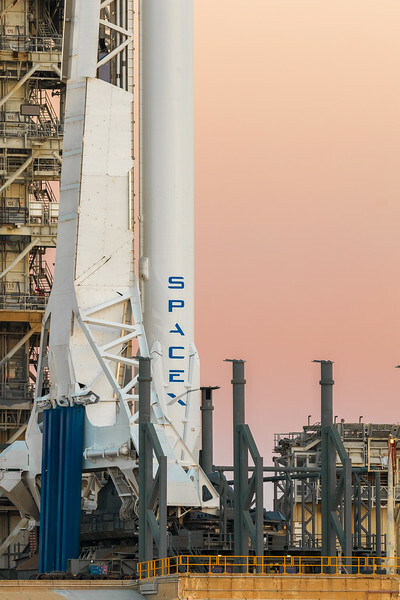 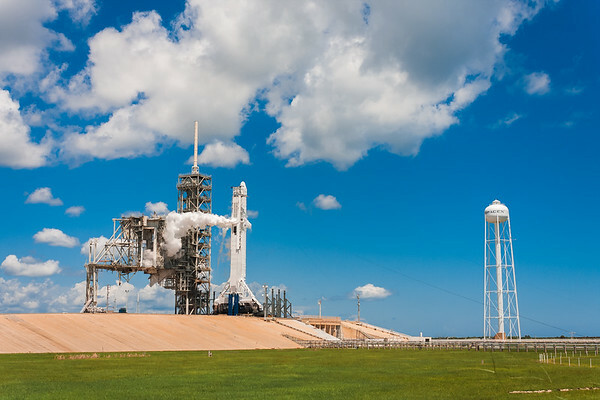 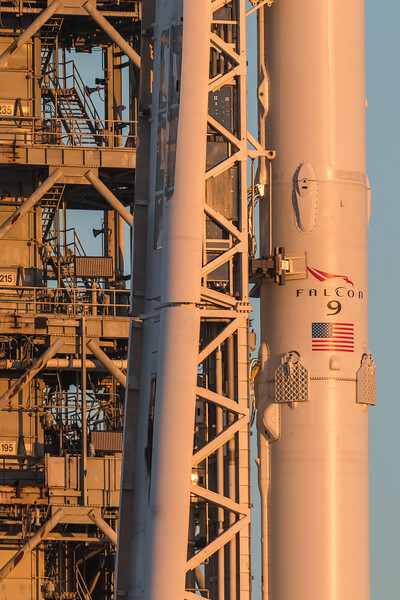 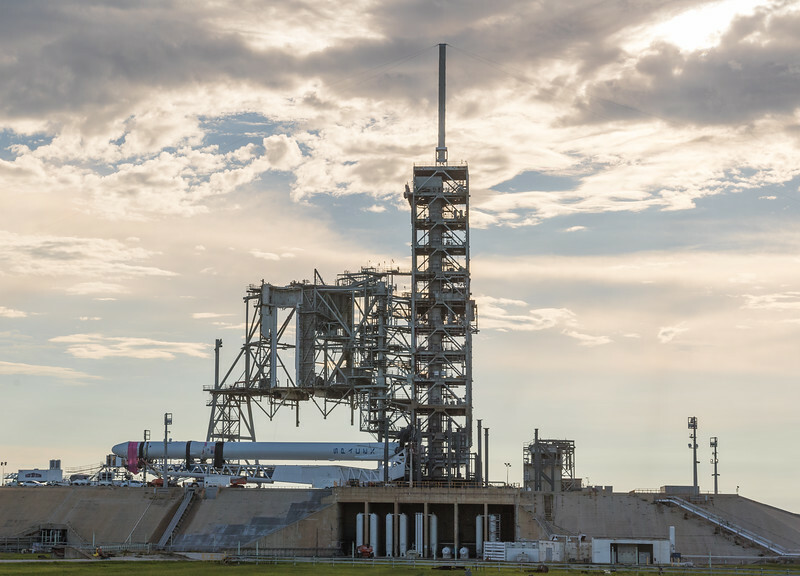 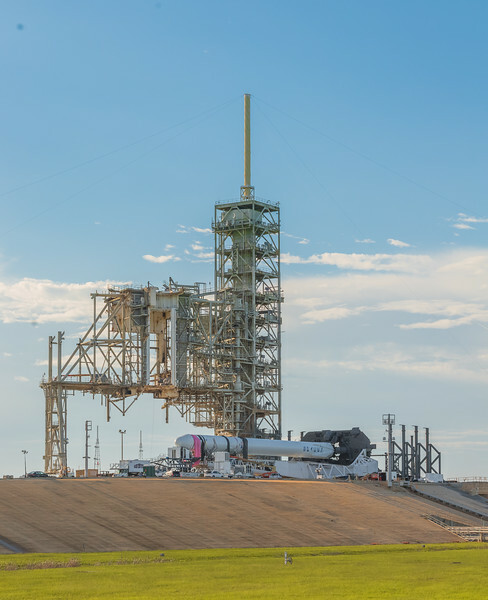 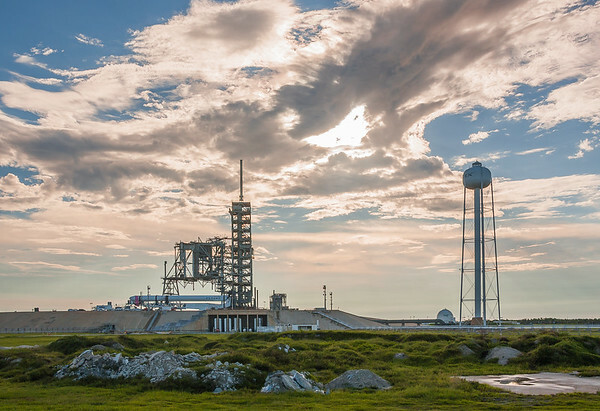 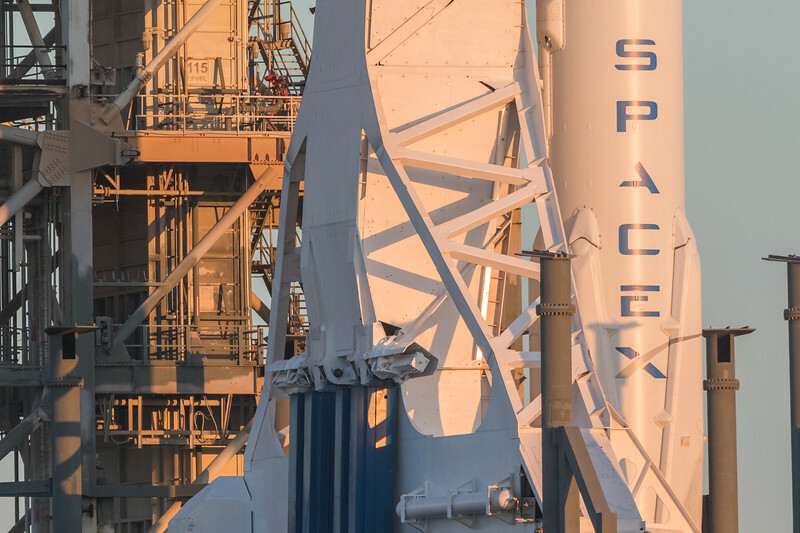 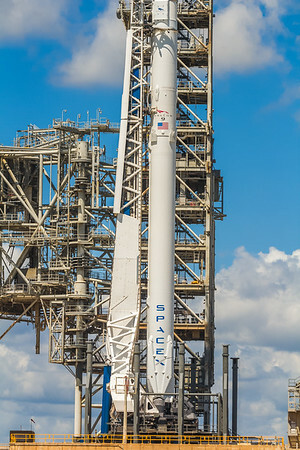 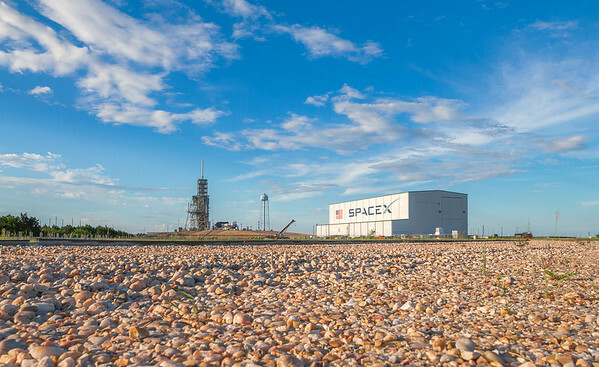 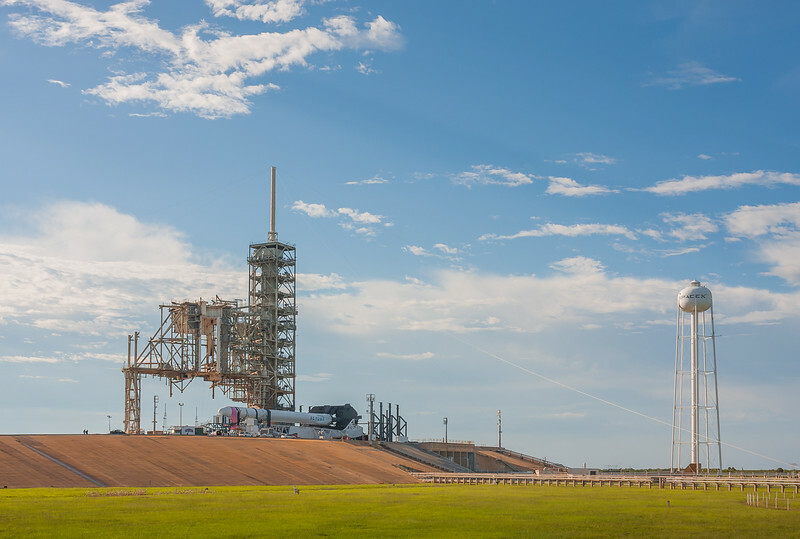 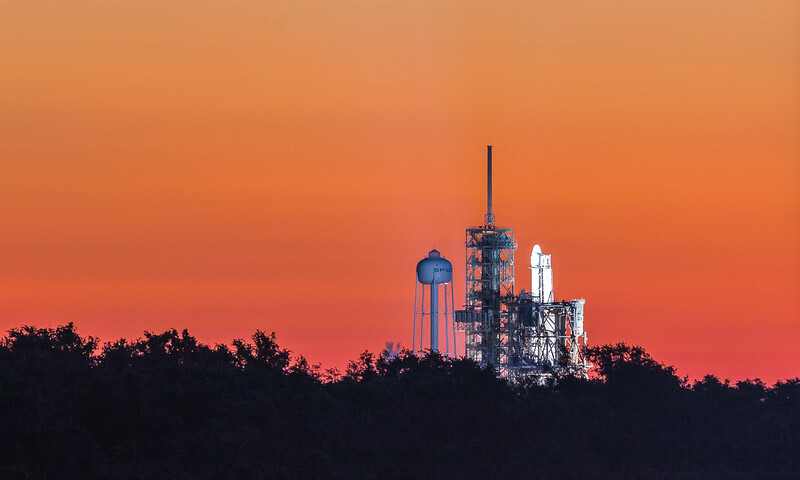 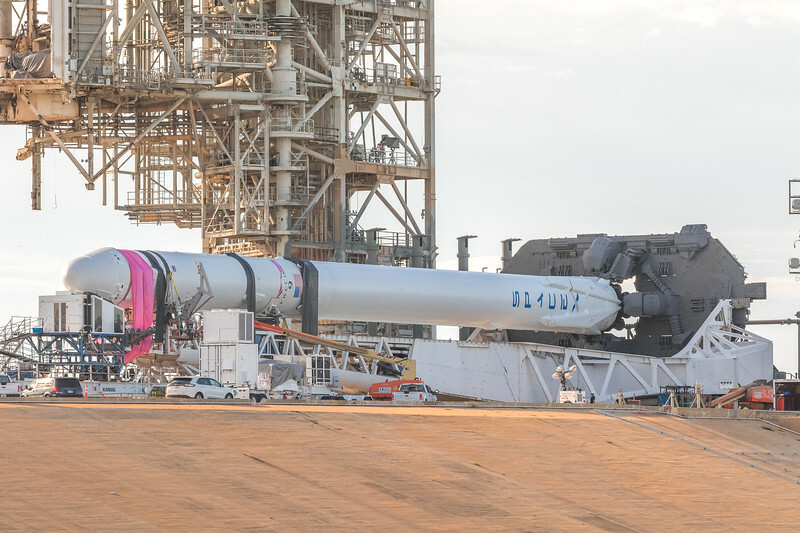 SpaceX's Falcon 9 lays horizontal on historic Launch Complex 39A at NASA's Kennedy Space Center as late-load cargo is put in the Dragon spacecraft. 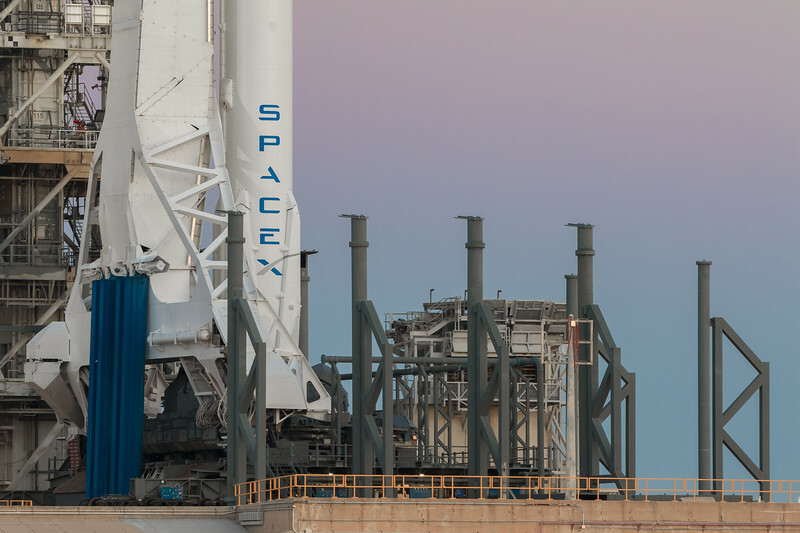 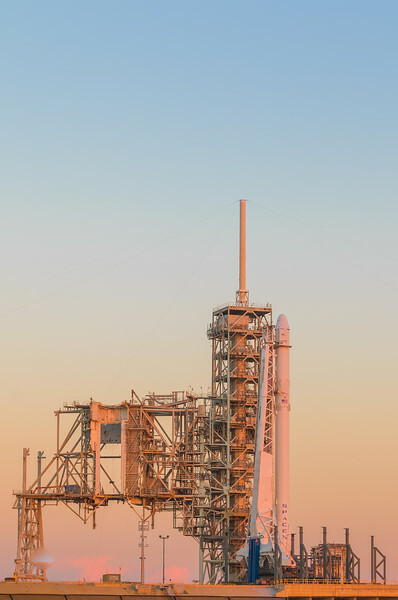 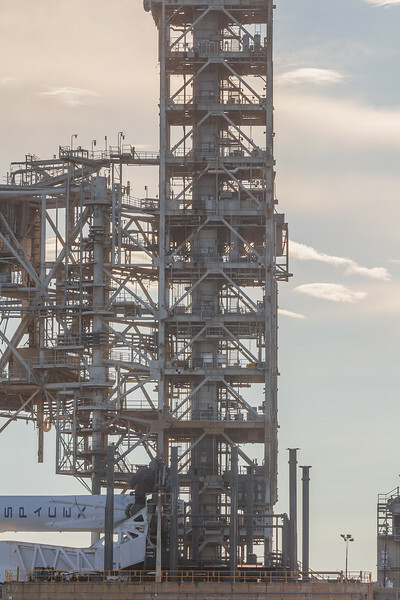 More & more of SpaceX Falcon 9 is becoming visible from the press site at LC-39A as the Shuttle-era RSS is dismantled. 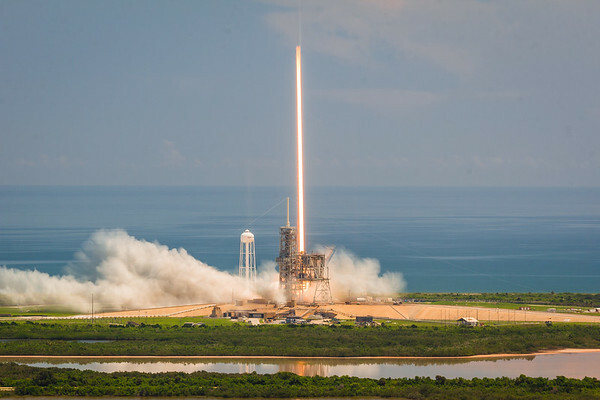 12 second long exposure photograph of the SpaceX Falcon 9 launching the CRS-12 Dragon spacecraft to the International Space Station.